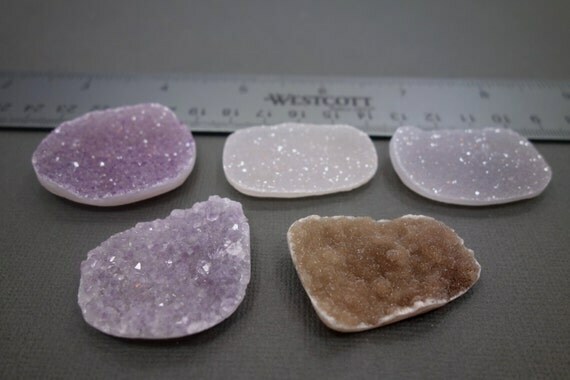 Beautiful Natural Druzy Formation, you will receive the exact druzy as pictured. Over an inch, beautiful for jewelry setting, wire wrapping! PLEASE PICK THE STONE YOU WOULD LIKE TO RECEIVE USING THE DROP DOWN MENU. Great for display, educational for children (and adults alike! ), can be wire wrapped or set in one of a kind jewelry.